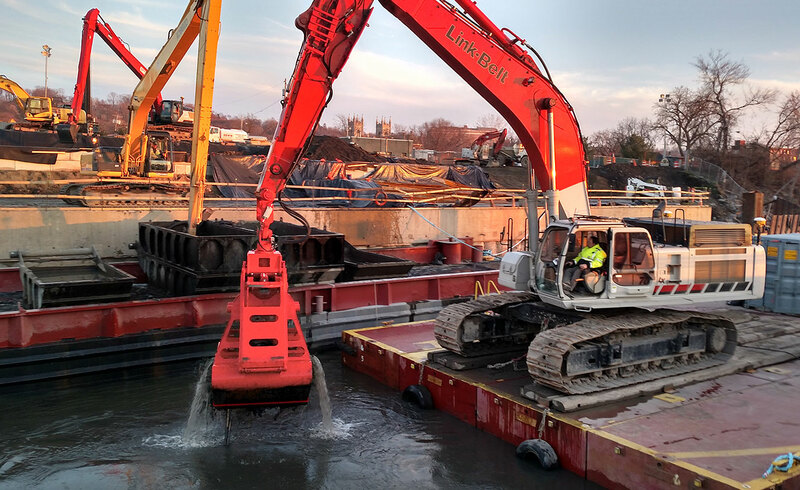 LAND offers marine-based dredging and capping services. Our fleet of modular barges and vessels we are able to respond efficiently to client’s marine construction needs including dredging, capping and in-river barrier wall and containment installation. LAND specializes in mechanical dredging of sediments from bodies of water ranging from small ponds.tributaries to rivers and tidal flats. We offer flexible approaches to meet project needs and offer extensive knowledge of sediment treatment and disposal options. Our expertise includes installation of barrier walls, dock structures, dolphin/mooring installation and removal.